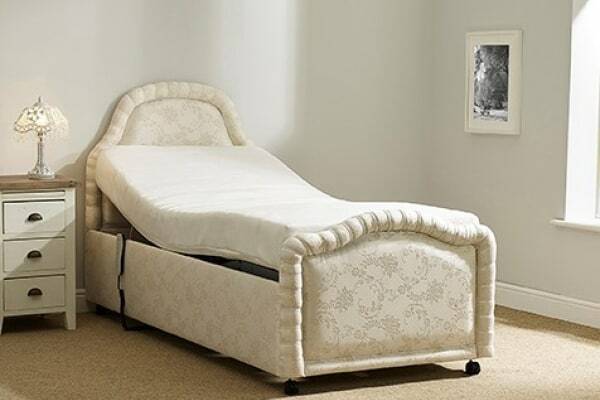 Laybrook 7 day money back guarantee is that you can use the bed for seven days after the date of delivery without worrying about packaging or returning the bed yourselves. If in the unlikely event you do need to send the bed back we will collect it from you free of charge and a full refund given within the 7 day period after delivery (excludes “Special Orders” & Turning Bed Rentals). -“Special Orders” are classed as anything different than shown on the website photographs and or states “Special Order” on the product page. We will exchange your mattress on the 7 night trial even with special order beds. - Turning Bed Rentals are exempt of the 7 day money back guarantee as this is supplied on an independent rental contract. - You can exchange your mattress free of charge for a firmer or softer feel within the 7 day period or you can upgrade your mattress at the standard charge for upgrades. If you have purchased a mattress on its own without a bed we offer a mattress exchange service, you must let us know within 7 days of delivery. No refunds are given on mattress only purchases unless they are unused, not been slept on and returned undamaged. - Consumers 14 day statutory cooling off period for standard products is not affected. - If the product has been opened and used you cannot send it back after our 7 night trial due to cross contamination. If you would like to keep those rights you must keep the packaging on the mattress and not soil or damage the bed and return within 14 days of delivery. - If you would like to return or exchange your products please contact Customer Services on 01869 255400, Monday-Friday 9am – 5pm for a Return Number. - All refunds will be processed within 21 days after receipt of goods to our delivery warehouse. - Persons who visit our showroom still have the 7 day trial on the mattress(s) only. As you have tried the bed / mechanism, you do not get the trial on these. In home demonstrations are available, the cost would be £125.00. 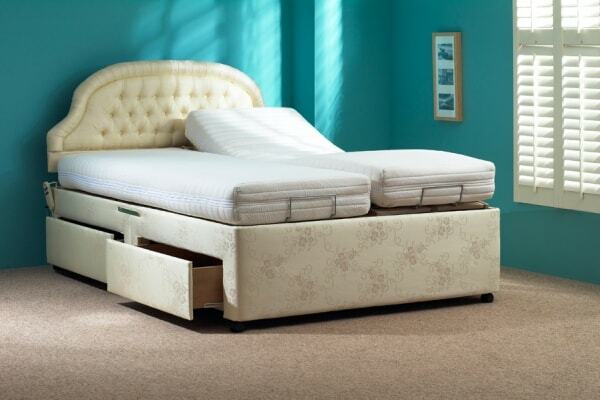 - If you have a heavy duty mechanism fitted into your bed. The weight limit is 25 stone, however this means that your weight must be distributed evenly accros the mechanism eg 12.5 stone at the head end and 12.5 stone at the foot end of the bed. - If you have requested a specific height alteration for your new bed, please be aware there maybe a tolerance of 0.5 of an inch either way. * We must receive the cancellation letter within the seven-day period (from date of delivery). * The bed must not be damaged or soiled in any way as this will invalidate the money-back guarantee. * Our beds are assembled / installed by a trained technical engineer and must not be disassembled by anybody else as this will render your guarantee void. Please call our customer service department for cost. * Excludes credit card charges (this is only if you have paid by credit card) of 2%. * Excludes Special Orders (including beds with cot-sides as fitting process requires drilling/screwing onto the bed surround). * As products sometimes change, pictures may not reflect the exact specification and are subject to change without notification. * If purchasing a mattress or “Special Order”, you are eligible for a mattress exchange within 7 days of delivery but no refunds are given once the mattress has been unpacked and used. * Cancellation of Fast Deliveries will incur a charge of £175.00 as the actual cost of this service (altering production & logistic manifests) is amortised into the value of the order. If the order is cancelled the full £175.00 charge is applicable. * Deliveries by courier companies e.g. TNT are not guaranteed by us, if cancellation occurs because of non delivery by them, a restocking / packing fee of £195 will be charged on all chairs / beds. * You have ordered a 3ft bed and when it has been delivered you realise you need a 4ft bed, this is the only time we will charge to collect, dismantle and repackage the bed, this also applies if you order the wrong type of bed i.e. a Double instead of a Dual. It is crucial you measure the size of the bed before ordering as a charge of £175 will be made to collect, dismantle and / or reassemble a new bed. We must be notified within the 7 days. * Special Orders must be cancelled within 48 hours of placing your order as your bed will have commenced manufacture. If you cancel after the 48 hour period Laybrook reserve the right to retain your deposit (50%). * Fast Delivery Cancellation – In the case of cancellation of a Fast Delivery order the Fast Delivery charge will not be refunded. *Death of Customer: Where a customer dies after placing an order and subject to other statutory or contractual rights available to the Customer the customer and/or his/her estate shall remain liable for all amounts due to be paid under the Contract. Notwithstanding this we will be happy to discuss mitigation of the Customer’s liability with his/her Personal Representatives to lessen the impact of the liability as much as possible. The Agreement is made between Customer, hereinafter called ‘The Customer’, named in the schedule hereto which said schedule is set out and is hereinafter called ‘The Schedule’ and Laybrook hereinafter called ‘The Company’. 1. The Customer agrees to purchase and have installed and The Company agrees to supply and install at the address for delivery specified the furniture, hereinafter called ‘Furniture’ as described in ‘The Schedule’. 2. The condition of sale contained on this side of the form are hereby acknowledged and accepted by The Customer and Laybrook. 3. In case of cash sales The Customer shall make payment of the total price, less any deposit price already paid, to Laybrook on delivery of the furniture. 4. The Customer hereby acknowledges and agrees that he understands that the agreement constitutes a legally binding agreement between The Customer and Laybrook. 5. Laybrook does not guarantee to remove or dispose of existing bedroom/living room furniture but it is our policy to assist in moving the Customer’s bed to another part of the house, unless stated on the order form. If you request Laybrook, at the time of delivery to move furniture from one room to another that has not been agreed you will be charged a minimum of £35.00 per item will be made that has to be moved (dependent on size and weight of the requested item), if it means a failed delivery because you have not specified this at the time of ordering a charge of £175.00 will be made. 7. It is hereby agreed and declared that this agreement is neither a hire purchase agreement nor a credit sale agreement. 8. Payments to confirm an order will only be refunded in the following circumstances if written notice of cancellation of order (per data protection act) being received at the address below within 14 days of delivery. 9. If your order is a ‘Special’ order (made to your specification and identified as such on the order), then no refund may be given. 1. General: These conditions of sale shall apply to all orders and contracts for the supply of furniture in mainland UK by Laybrook to the Customer and any purported qualification or variation hereof by any employee shall be ineffective unless agreed to in writing by Laybrook. Laybrook shall not be bound by any oral description or representation made by any of its employees other than any description or representation contained on the internet or printed materials produced by Laybrook and given to the customer and no such description or representation shall give rise to rights or claims of any kind. 2. Alteration on Design: If Laybrook alters the design specification of the furniture described in its sale or literature after the Customer’s order has been accepted we will notify the Customer, who will have the option of cancelling the contract for a full refund. 3. Guarantee: Laybrook guarantee the working parts of the Bed Furniture will be free of failure for 1 to 5 years (depending on product) from the date of delivery. Chair Furniture 1 or 2 years (depending on product) from date of delivery, provided that the parts have not been misused or tampered with. Should failure occur, Laybrook would affect repair at no cost to the customer within the time periods above. If failure is deemed to be caused by the customer and not by any mechanical fault of the furniture, a call out charge will be made. 4. Moving of Bed: If the bed has to be moved from room of original installation this must be done by a trained Laybrook engineer. Any movement of the bed not done by a Laybrook engineer will invalidate the Guarantee. 5. Delivery: Laybrook shall endeavour to meet all delivery times, however if it becomes apparent that this will not be possible we will notify the customer to re-arrange. If Laybrook is unable to deliver within an acceptable timeframe the Customer will have the option to cancel the contract. 6. Passing of Property: The furniture shall still remain the property of Laybrook until paid for in full. 7. VAT: Laybrook and the VAT office will require the person who the electric adjustable bed is for. to have a qualifing medical condition which can be checked with a doctor (if deemed necessary) to qualify for zero payment of the VAT. The condition must be of a chronic nature i.e. (ongoing and not likely to get better in the near future). The medical condition will be requested at the time of order and is a self declaration, if it is found that (for any reason) that you are required to pay the VAT (at the time of delivery or at any time in the future and you have misled Laybrook or the VAT rules have changed, you will be solely liable for the VAT and any assioated costs that Laybrook may incur. Please check with your local VAT office if you are unsure if you qualify. You have 14 days from date of installation to cancel this contract (collection cost may be incurred).